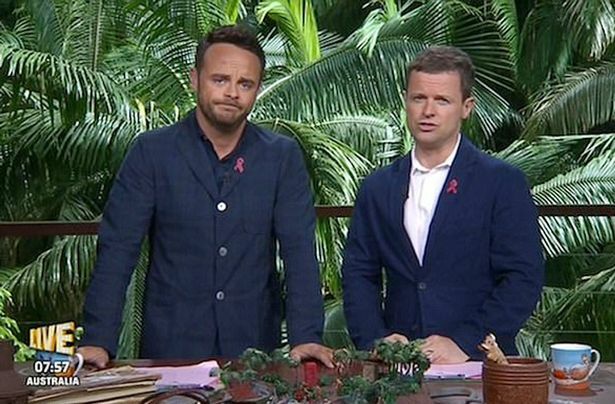 Ant and Dec have sparked uproar for a ‘racial slur’ on Friday’s I’m A Celebrity Get Me Out Of Here! The award-winning duo are known for their lighthearted humour and gentle ribbing of the campmates, but a comment on Friday’s episode has left fans angry. Dec was making a joke about some blue vests which were worn by the celebrities to complete a task in the jungle. He said the jackets were going to a bunch of ‘underprivileged Australians who suffer terrible working conditions’. 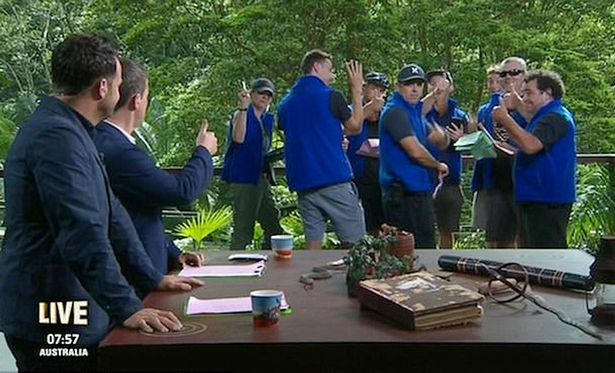 Obviously, this was a not-so-subtle joke aimed at the I’m A Celeb staff, and the camera cut to a shot of the crew wearing the blue jackets. As the crew tend to do, they erupted into enthusiastic laughter at the hilarious joke, before Ant interjected with the contentious remark. He called his crew ‘poor souls’, and allegedly said ‘they get paid in Abos’. Now, for those who don’t know, an Abo is a derogatory term for the native Australian Aborigines. The comment sparked intense social media debate, with people stating their outrage at the comment. is it NOT ok to say “Poor souls, they get paid in abos” FYI, ‘ Abo’ is a racial slur that has been used in the past and still used TODAY to degrade Aboriginal people, you know the Indigenous people of the land where you film your show. However, not everyone is convinced that is quite what Ant said, with some people claiming he in fact said ‘avos’, an abbreviation of avocados. Anyone who thought Ant said “Poor souls, they get paid in abos” on last nights #ImACeleb need their ears checked, he said “Poor souls, they get paid in avos” meaning AVOCADOS ? Anyone who thought Ant said “Poor souls, they get paid in abos” on last nights #ImACeleb need their ears checked, he said “Poor souls, they get paid in avos” meaning AVOCADOS. I hope all of the people who accused Ant of saying ‘Abos’ are now eating humble pie! He clearly says ‘avos’ #ImACeleb. According to the Mirror, a spokesperson for the show did indeed confirm that Ant did not use the term Abos, and did say avos. They insisted ‘he said ‘avos’ which is a way to describe avocados’, urging viewers to ‘listen/watch the footage again and you’ll clearly hear him say ‘avos’. If you listen back to the footage and watch Ant’s lips very carefully you do indeed see he said ‘avos’ and not the racial slur which some have claimed he uttered.